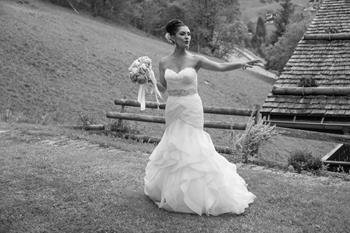 Set in the beautiful mountain village of La Clusaz in the heart of the Aravis, Hotel Beauregard**** is the perfect setting for a timeless alpine wedding. We understand the importance of attention to detail and our teams are dedicated to making your special day, simply perfect. We will tailor everything to your needs to find the perfect mix of elements to create an unforgettable and unique experience. 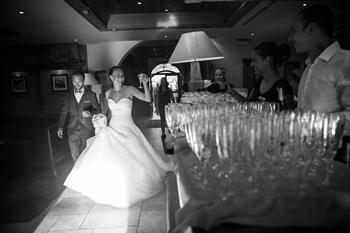 Let us help and guide you for one of the best days of your life! 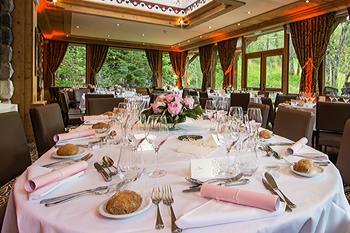 Our authentic alpine restaurant « Le Symphonie » within the hotel will be exclusively reserved for your private use, it can welcome up to 200 guests. 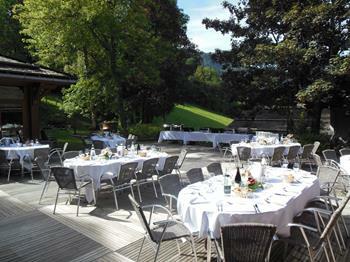 You will also have full use of our idyllic garden terrace overlooking the village of La Clusaz. You have a choice where to have your drinks and canapés, either on our sun terrace, in the spacious hotel lounges or around the fireplace and bar. You can choose from one of our Chef’s canapés selection from 6 to 12 canapés per person, or the chef can cater to your individual tastes, all served on a platter or as a hands on culinary workshop. Our Chef will help you choose from a selection of exquisite menus, developed personally by him (from 78€ per person, not including drinks) or he can adapt everything according to your personal tastes. Finish off your dinner in style with the wedding cake made by our expert Pastry Chef accompanied by a buffet of desserts. To assist you in your choice of menus, we offer a complimentary tasting lunch or dinner including starter/ main course/cheese and desserts buffet. The dance floor is located in the restaurant and will be for your exclusive use to dance the night away, without any extra cost. We can assist you in your choice of service providers from a list of tried and trusted entertainers, florists, photographers etc. Round off your memorable experience with a relaxing, laidback lunch on the terrace, where the Chef will cook for you on his plancha barbecue. Come together and enjoy a delicious buffet to accompany the barbecue. 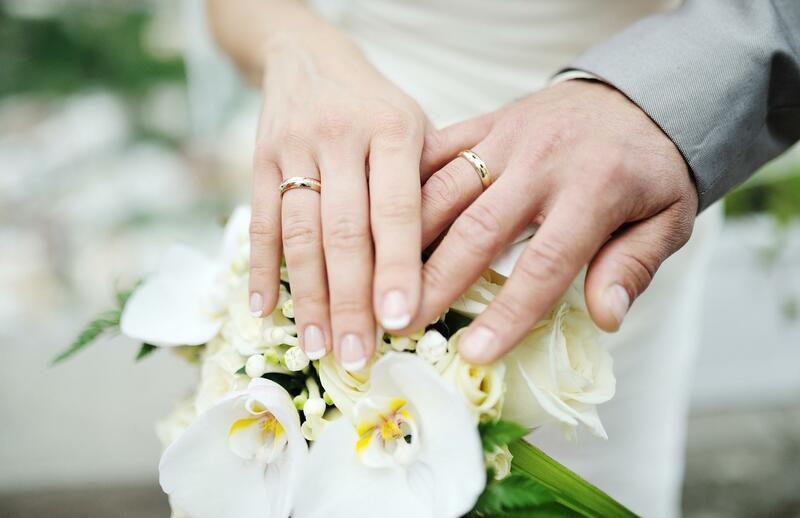 We offer a Complementary Suite for the Bride and Groom for the night of Saturday to Sunday. The hotel has 95 comfortable bedrooms with balconies. 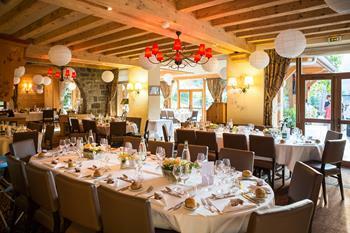 We would be delighted to meet with you to discuss your wedding plans for your special day in La Clusaz.